Beam me up, Scotty? But we’ve hit the upload bandwidth limit, captain! 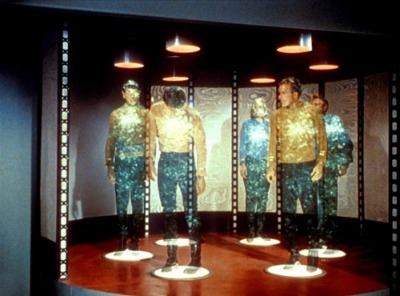 New research into teleportation in the style of Star Trek transporters, has shown that we’re unlikely to see it materialise [sorry] in our lifetimes. Four physics students at the University of Leicester have today published their research into teleportation, taking into account the data bandwidth and power consumption that would be necessary to teleport a human being from the Earth’s surface to an orbit directly above the person’s starting position. A single cell consists of a DNA pair that contains so much genetic information that an encrypted data stream for just one cell would consist of 10 x 10^10 bits of data – which is around 12.5 Gigabytes. To transport an entire human brain would take 2.6 x10^42 bits of data. With a data bandwidth of 25 to 30 gigahertz, transporting a whole person would take approximately 350,000 times longer than the universe has existed. 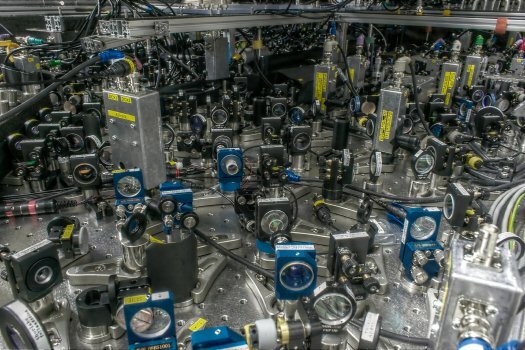 Due to the massive amounts of data, the researchers have calculated that to date, not as much power has been created in the history of the human race as it would take to teleport a single person. Future technologies (faster internet speeds and more efficient power supplies for example) will make teleportation viable one day, but not for the forseeable future. Indeed, in 2011, a team of Japanese and Australian scientists successfully teleported wave packets of light using a quantum teleportation device. Unfortunately for us, packets of light contain much less information than human DNA does. If you’d like to console yourselves, check out our range of Star Trek t-shirts! We have a wealth of official Star Trek merchandise for you, to save you from falling into darkness! This entry was posted in Geek News and tagged beam me up, dna, into darkness, official star trek merchandise, quantum teleportation device, scotty, star trek, star trek t-shirts, teleport, teleportation, transporter. Bookmark the permalink.